transformation of the guest rooms and public spaces in order to implement a contemporary/modern new design and reposition the hotel to the top of its competitive set. 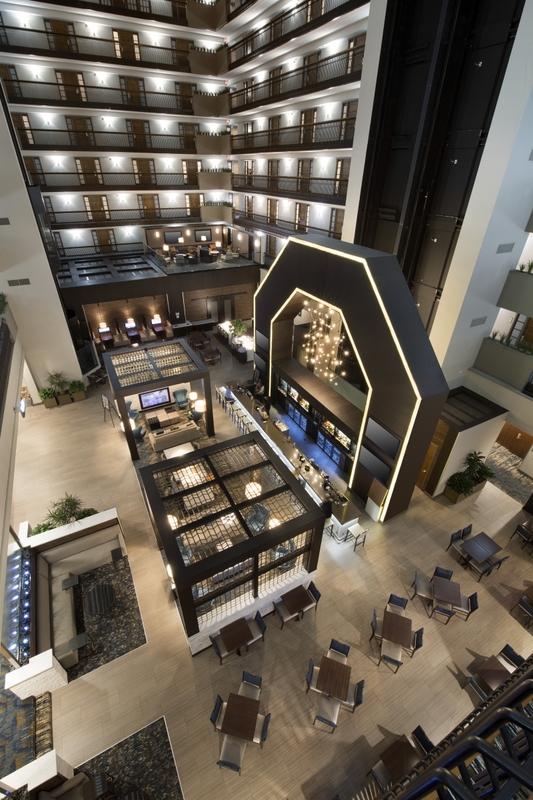 The Hotel is located within close proximity to all Columbus has to offer including Polaris, Easton, Ohio State University, Downtown, the Columbus Convention Center and the Port Columbus International Airport. Some of its corporate demand generators include the corporate offices of JP Morgan Chase, Worthington Industries, Mettler Toledo, Emerson Network Power, Ohio Health, Molina Healthcare, McDonald’s accounting offices, DHL, Net Jets, Subaru of America and Mt. Carmel St. Ann’s Hospital.